Toby Price is an International Trainer for John Paul Mitchell Systems and the owner of The Experience Salon in Mount Vernon, Washington. 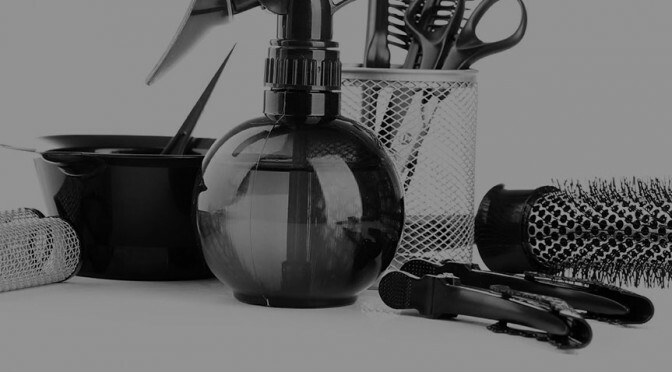 As a veteran hairstylist and Paul Mitchell® product expert, he is passionate about teaching and coaching other hairstylists. One of his greatest accomplishments is creating three of his own color techniques for Angus Mitchell’s Alchemy Collection. Most businesses consist of all of these things, and as they grow, they expand in these areas. Google, for example, has created an extraordinary atmosphere for their workers. Amazon has forever changed how we shop and has permanently affected the speed at which we receive the items we buy. Starbucks has maximized their locations and have also become iconic all over the world. I know that these are large companies, but they started out small and paid attention to where their business grew. 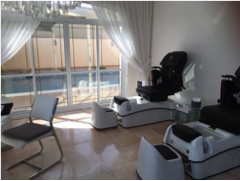 The Wash House has a location in your salon. What does that location look like, how does it make your guests feel and is it a place guests want to be? The Wash House has a product to offer—two actually: both our services and a chance to test and demonstrate what our products are like. The Wash House has a culture. How does the staff act in the Wash House and what is the feeling when the guest walks in? The Wash House has an atmosphere. What does it look like, what types of products are advertised, what is the lighting like, and does it cause your guest’s mood to change because of the experience they are receiving? The Wash House has services that it offers including treatments, shampoo and conditioning services, relaxation and color services. With all of the areas of the “Wash House Business” in mind, we have to learn how to be mindful to grow each one of these areas as well as look at how they benefit our other businesses (cutting, styling, coloring, extensions, product sales and tool sales). Here are some ways that we are doing this in our salon. When you add on certain treatments to your service, you receive a small take home size to support that treatment. Our new Lavender Mint Deep Conditioning Mineral Hair Mask packets are a great way to keep the experience going at home. We will offer one free packet with a treatment to take home or buy 6 for the price of 4 with a treatment. 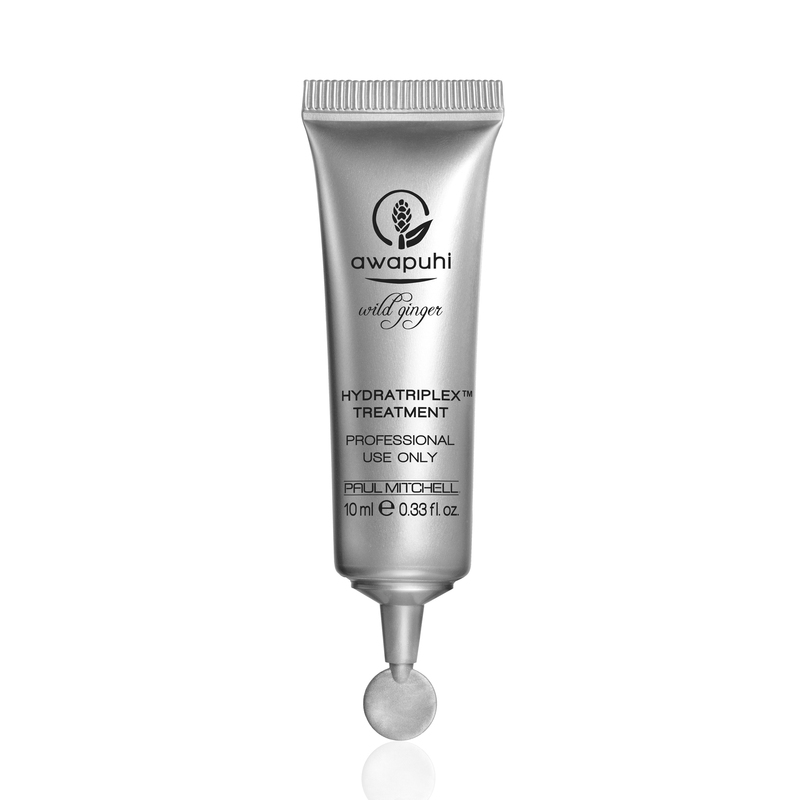 Awapuhi Wild Ginger® Intensive Treatment is another small size that can be gifted with an Awapuhi treatment. Book out three treatments and receive a free travel size for maintenance in between. We are also offering bundle discounts on 3-5 products that support the Wash House experience the guest just received. With a color service, if they receive a Ultimate Color Repair® Mask treatment, we would offer a discount on a bundle of Ultimate Color Repair Shampoo, Conditioner, Mask and Triple Rescue. With a Lavender Mint Deep Conditioning Mineral Hair Mask treatment, we are offering a discount bundle of Lavender Mint Moisturizing Shampoo and Conditioner, Lavender Mint Conditioning Leave-In Spray and two Hair Mask packets. Every shampoo has a focused purpose for the hair, and we are working on moisture, color-treated, smoothing, extra-body, preventing hair fall, strengthening and more. We should always have a product that is recommended for each guest’s hair type. We also use a board that lists out the following statement: “If you received a ________ service, we recommend __________ product.” This will connect every hair type that comes through our Wash House to a Take Home Product that will support the daily results that the guest is looking for. When you look at each area of your business as its own business, you will maximize its productivity and allow it to support all the other revenue centers. When I was in Dubai on one of my trips at the distributor training center, one of the educators went to open a door to the storage room. Upon doing so, the large handle pulled completely off the door. We needed to fix it, but we could not find a small flat head screw-driver anywhere, so we looked for other small objects that were flat to try and tighten the screws so the handle would stay on the door. Finally, we found a small metal hair clip and were able to bend the tip until it broke to the right size. We fixed the door and got into the storage room. If we would have had a selection of small screw-drivers the job would have been done quicker and our time would have been maximized. As a stylist and salon owner, I value both my time and the end result of my guest’s hair. When I am coloring hair and need to neutralize a color or want the hair to have a specific tone, I need to have the correct tool for the job. With Paul Mitchell® the color XG® I am so thankful that we now have a Matte series that falls on the green base of the color map. I know I can use yellow and blue to create green. but when I have the option to tweak the green by adding a little blue or gold, the end result is more consistent and precise. With Paul Mitchell the color XG Matte Series, I believe that my salon will have more opportunities to achieve the desired matte and ash look — while also being able to customize it in a less complex way. My stylists will have more options in the tonal range, and our guests will have more consistent results with matte and ash looks. With social media being a driving force of what our guests see and want on their hair, we need to have all the tools available to achieve that. Remember that the first step is understanding color and how it works on hair’s porosity and dominant pigment. Once you have built that knowledge and understand how those pieces work on the hair’s canvas, then you’ll be able to fully utilize all the color line options and pull from that tool box to create whatever you need and want. You are responsible for your success, and the stronger you are in your craft, the better the end-results will be. So practice through the struggle until you feel comfortable. Where you once failed, you will now succeed and where you once dreamed, you will now abide. This is the progression of achievement in your craft and it is all worth it if you enjoy the journey! So have fun and make every guest’s day beautiful because of your passion. Traveling the world engages my senses in so many ways. New sounds, smells and tastes make me more alert and curious about what is around me. Every culture has its differences and they affect every person in a different way. 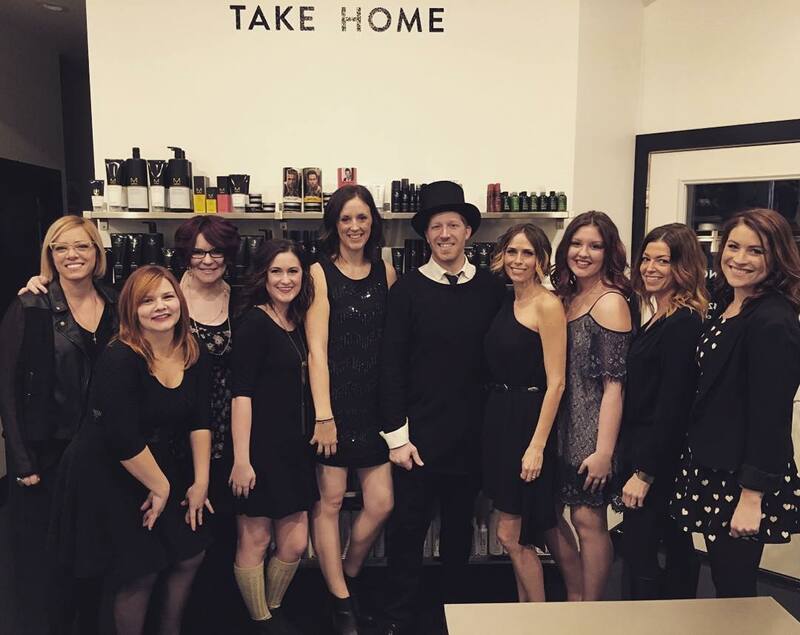 I have written about how the smells of certain Paul Mitchell® products take me back to the first time I used it and how that experience set the foundation for my salon. So just as every culture has its different sensory impact, I want you to think about the sensory culture of your salon. What are the smell, sound and taste offerings of your business – and do they set the cultural mood that you want? Using Paul Mitchell brands to maximize this experience is the bonus we have as business owners. Let’s go back to the beginning. First, we chose to open a salon. We draw plans on scraps of paper, dreaming of what it would be like to have our own space and to service our guests the way we envisioned. Now that it’s been established, I imagine you (as a creative person) want to stay up-to-date and change things up as time goes on. The best and easiest way to change your business in an impactful way is to change the way the senses are engaged. You can do this by mixing up the smells for the season or coordinating matching scents to support whatever promotions you are running. Adding certain smells of products for specific services helps the guest remember that experience every time that smell is around. Try using different sounds in various areas of the salon and/or change up those sounds throughout the day. Being purposeful in how we impact our guests’ experiences makes a huge difference in their time with us. For example, I have visited salons where the products being used have a not-so-pleasant smell and I hear the guests complaining. I also hear the stylists preemptively apologizing to their guests, knowing that the experience they are about to receive will not be as good as it could. And this is solely based on the scent of the product being used on their hair. Don’t you find that your guests often ask for products by scent? The senses are everything! 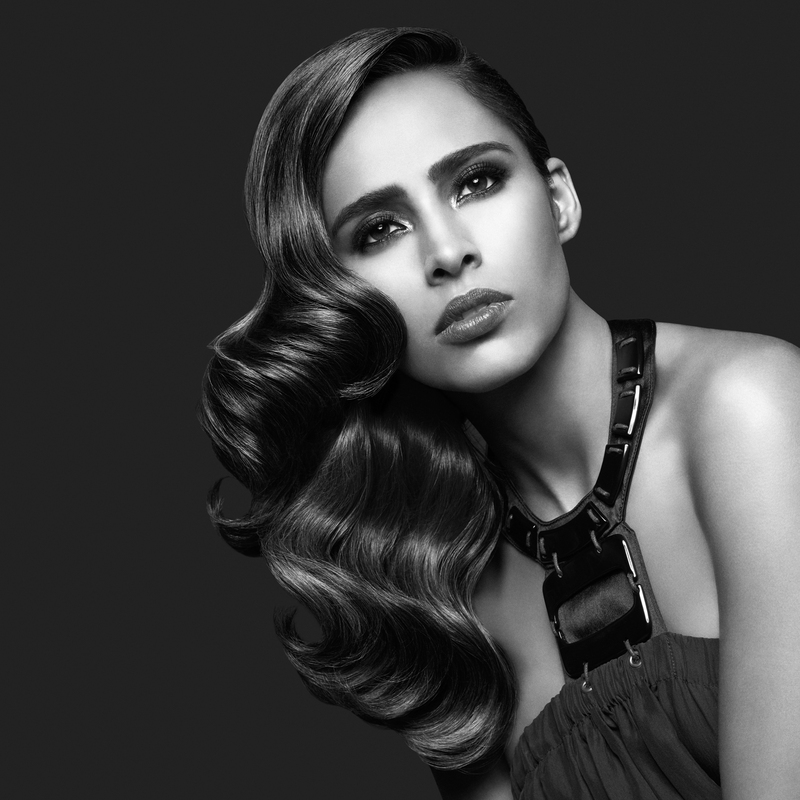 I went to a five-star hotel in Dubai to visit a high-end salon using Paul Mitchell® Color XG. Before I even stepped foot in the salon, my sensory experience began. As soon as I walked into the lobby of the hotel, I could smell fresh lemongrass. It was refreshing and clean and exactly the kind of scent I want to smell when walking into a hotel. Take a moment today and walk around your salon. Think about these points as you enter each area. How can you improve the sensory experience? What do you think of when you first smell or hear what is there? Why would a guest need to smell or hear something different? What if I did something unexpected and more focused than ever before to engage the senses? Enjoy the sensory journey through your business today, and imagine the ways you can improve this experience for all! For more business-building tips and inspiration, click here. When I think of goals, I first think of sports. To score a goal or to make a goal determines whether you win or lose. For my stylists, I want them to win at their careers so making the right goals are very important. Because they are part of a team, I can’t count on one player to score all the goals for the team to win. Like in basketball, if one player scored 60 points and the rest of the team scored 20 points, but the other team scored 81 points altogether, they still lose. Even though that one player had their best game ever and might even receive an award for their accomplishments, the team still loses and that player might feel that they need to move on to another team. We need to make sure that the goals that are being set and achieved are ones that allow a team to grow together. If it is hard for someone to make a goal it can become discouraging for them, even if the rest of the team is making their goals. I believe that if we set goals based on percentages then all stylists can work towards making their goals with more confidence. 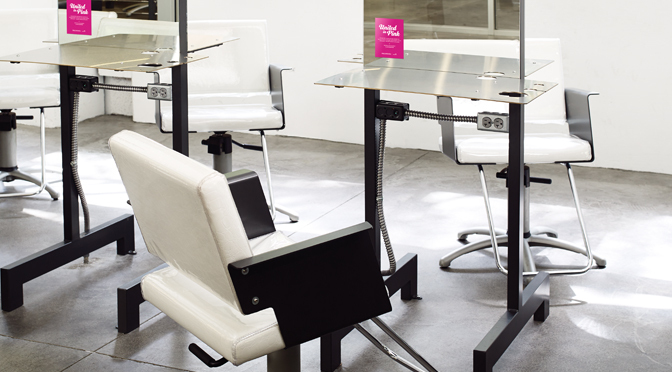 These are a few key indicators that I look at and set goals for in my salon. Even though stylists are working different hours, days and schedules, when we set goals based on percentages they can all be on the same page for growth. Even if a stylist is brand new and only had two guests in a week, you can still look at the percentages to see how many rebooked, how much each guest spent and what the take home numbers were. In setting goals for this coming year, I have a few things that I would like to grow in my business and my goals will be focused on those areas. As owners and managers, we have to have a clear view of where our salon needs to grow so that we can guide it in that direction. If we are not setting goals for our teams to achieve what will help grow those key areas, then we are creating more work for ourselves. I want to continue to grow take home sales, so my focus will be on the percentage of take home to service sales. I want to continue to grow the new guest count in our salon, so I will focus on how many referrals each stylist generates for the salon. I want to continue to grow the daily sales of the salon, so I will focus on sales above and beyond the projected sales for the day. Each one of these goals will allow the stylist to grow their guest count, income and achieve goals that help them win in their career. As a salon owner I believe I am responsible for guiding my team toward success but they are responsible for following the path I guide them down. Know your team, know their strengths and weaknesses and lead with a heart of compassion. For more business building tips, click here. When I look back at the many resolutions I’ve made over the years but haven’t kept, I have to ask myself, “why not?” Then I realize, I have to look at things differently. Not with a less eager or motivated attitude, but with a creative eye. We can achieve many things if we put our focus on it and direct our attention to it. But, in a world of distractions and being pulled in so many directions, we have to be creative with our plans and look at all the areas of our business and give each one some focused attention at the right times. We are going to look at building new guests and taking better care of our current guests in the new year. Our guests enjoy and thrive off of growth and change. Even if they don’t want to change their hair, they like to see change around them. Positive change is a sign of growth, and we need to look for ways in the new year to deliver that to our current guests as well as to our community to attract new guests. Look for areas where your current guests can be happier and find reasons why new guests would want to visit you for the first time. 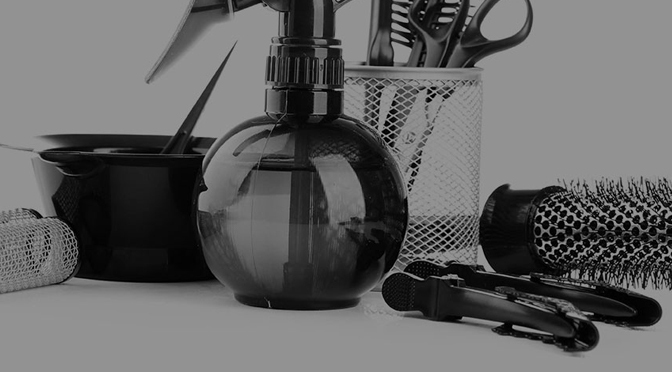 Make a list of one big thing you could fix or change in your salon that guests would notice. Make a list of five smaller things that you could add to every guest’s current experience to make it more memorable. During the next month, ask each guest what their favorite thing about your salon is, and make sure that all those are happening consistently. Make one visual change to the exterior of your salon to draw attention. This could be a window image, paint, sandwich board, logo car, etc. Find one business that has a clientele that you would like in your salon and offer a special to their customers for a fixed amount of time. Promote your knowledge of hair through a “get to know your hair” class for the public to come to your salon and learn how to take care of their hair. These are just a few ways that you can make an impact in the new year with your guests and the community. The more we focus on one thing, the more we can make a big change and see growth. I always have a lot of different things going on at the same time. 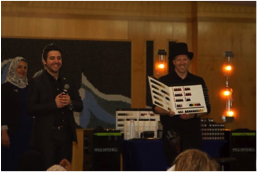 I’m a husband and father of five boys, I own a salon with a staff of eight, and I travel the world for Paul Mitchell training and launching new products. That does not leave a lot of free time and it is so easy to get caught up in the mix and not be purposeful (if I’m not careful). I have always worked on being present where I am so that I make the most of each moment, but when it comes to the things that take time to finish, it can be even harder to stay focused. That’s when it’s helpful to take one task at a time, assess how long it will take to accomplish that task, and only focus on that one item until it’s complete and before I move on to the next one on my list. I hope this blog finds you well, and that you are inspired and motivated to make a difference in your life and career. Thank you for taking the time to read this, and remember: You are the one making each of your guest’s day, so make it great and wow them with your growth! 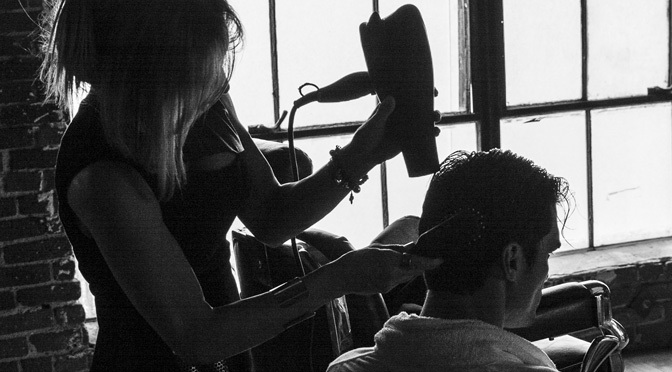 Stylists thrive when they feel supported and connected. Because of this, I try to stand behind my stylists when a challenge arises. This allows them to feel confident in their abilities and also creates accountability for myself, so that I am consistently providing quality education to help eliminate any additional, unwarranted challenges. Respect is a motivator. When you have respect for your stylists and the team, they will feel trusted. Feeling trusted allows a person to think clearly and make better decisions. I value having a team that makes good decisions because they know I stand behind them and respect their growth and skill set in this industry. Fun is a vital part of a healthy salon culture because people learn best when they are having fun. They’re also receiving on-the-job training and retaining what they learn as they work. Know your staff and their needs so that you can foster an enjoyable working environment for them. How do you motivate your stylists? Each generation is motivated by different rewards. I have five children at home and each one is motivated by something different. It is essential to understand the personalities and generational needs of your stylists. Rewards are based both on what your business can afford and on what the stylist needs to stay motivated. Strong relationships are built on good communication. I believe that my stylists need to understand the workings of the business so that they know where the money goes and what it takes to maintain what they have and enjoy. Clear communication will eliminate the potential for stylists to assume that they are not being taken care of. As taxes climb and the cost of business grows, I want my stylists to know that that particular burden is not theirs to bear. What is important is that they show up and enjoy working with their guests. That is what makes me happy and creates a positive and healthy salon culture. The big picture in business is success and wealth, but the details of that big picture are long hours, tedious tasks, counseling stylists and many other challenges that take a lot of energy. I say this not to scare anyone from being a salon owner, but to help inform you. I value my stylists who understand these details and do not want to deal with it themselves. I want people to be successful and have the ability to take care of their families. That’s why I own a salon where we practice these five steps. When you set healthy expectations for yourself, your salon, and your stylists, you’ll be more successful and more motivated to continually improve. Have you ever had someone convince you to see a movie they loved, and you go to the theater with high expectations only to leave disappointed? Oftentimes, our idea of a “great movie” is very different from someone else’s. The same applies to our guests’ experiences in the salon. When I was a new hairstylist, I expected that all my guests would enjoy their time with me, buy product and want to come back to me. Then I realized that even though I was nice, knowledgeable about the products, and asked them to come see me again, that was not enough to reach my expectations. “Effort is attractive” so if they didn’t see me growing in my craft, they weren’t as willing to invest in me for the long-term. When you set expectations for your growth, you have to remember to “Bring your skill, but don’t forget your responsibility.” Our responsibility is first and foremost to the guest in the chair who is “sponsoring” your career. When your guests have expectations of what they want, it is our responsibility to gain their trust through clear communication about what would and would not work. When you have gained your guest’s trust through clear communication and honesty, you have built a strong foundation for your relationship with your client. When I was a new salon owner, I had big expectations for my salon based on salons that I admired—but those salons had been in business for 10+ years and were located in completely different areas than mine. I learned very fast that there were aspects of business that require consistency, and because of laws and rules, they have to stay the same. 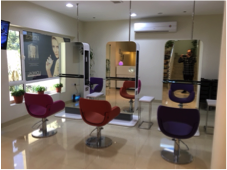 For that reason, there were aspects of some salons that I wasn’t able to apply to my salon since we were in a different states with different regulations. And due to social media, we tend to only see the very best—or perhaps an unrealistic expectation—of other people and other salons. I’m guilty of it, too. I don’t want to post something that doesn’t look good or is not inspiring to others. But for me to create an expectation based off of others “highlight reel” is not only impractical—it can also be destructive. When I first started with Paul Mitchell, I was taught to aim for a 10% growth in one particular area of my business. Now I coach my stylists to focus on 10% growth from the previous month by making a change in one area instead of all of them. This makes their goal much more attainable and less overwhelming, and they’ll be more likely to see substantial growth in a three-month time frame. Similarly, if I’m trying to grow my business by 50% from one year to the next, I can’t phrase it this way to my team because it sounds daunting. Instead, I tell them to aim for 10% growth each month, which sounds more achievable. By the end of the year (if we make our monthly goal even half of the time), we’ve reached the annual goal. This is a perfect example of how our expectations inform our actions and why it’s important to set your expectations based on your business and not someone else’s. When I was a new educator, I wanted to do what other educators were doing. Actually, I wanted to do what the top educators were doing. This is an example of how the expectations I set for myself were vital to my growth as an educator. I had to choose the correct mentors and make sure that my work was continually improving by 10%. If I had an expectation of what something should look like, and my mentor did not approve or told me to redo it, I would ask them to show me how to do it correctly so I could see and learn from their expertise. As an educator, communication is vital and it’s important to ask your students the right questions. For example, I am currently working in the Middle East to grow their education program. If I were to set the same expectations for the students there as I do here in the states, I would be sorely disappointed. The students in the Middle East don’t have the same background or basic cosmetology knowledge that American students have, so I have to train them in a different way and use different curriculum that is tailored to their knowledge and needs. This is an example of helping your students set healthy expectations for themselves. I play basketball a couple times a week—I love the competition and the exercise. Because I mainly play open gym and not in a league, there is a constant change in dynamic every time I walk on the court. I have to look at the players and size them up so I can play my best. Every day we step in the salon, we have to look at our colleagues and identify the effort level of each one. In business there is always the top 20% and the lower 80%. The top 20% are usually making 80% of the money and the lower 80% are making the other 20% of the money. I feel that I am writing to the top 20% because you are taking the time to read this, so our expectations as someone in the 20% is going to be different than the 80%. If I walk in the salon and expect the lower 80% to work how I would expect the top 20% stylist to work, then I’m going to be frustrated when my expectations are not met. If I expected all the guys I’m playing basketball with to play like NBA athletes, I would be let down every time. But if I pass because I want them to pass and I encourage them because I want them to encourage me, the game will go a lot more smoothly. If I lived my life waiting for others to do what I expect or to catch up, I would still be at the base of Half Dome in Yosemite National Park. I would still be sitting on a snowboard run in the middle of Mt. Baker. Most importantly, I would still be working for someone else in their salon, and I would still be talking about how I would like to educate for Paul Mitchell some day and I would never have moved forward in my life. We have to set expectations in our career and life that are based off our goals, not the achievements and motivations of others. We have to set expectations for our guests that make sense for their goals. We have to set expectations for our business that make sense for healthy growth toward our goals. We have to set expectations for our work that are based off of reality and encouraged by the proper mentors that we have chosen. For more inspiring business tips, click here. As a young hairdresser 15 years ago, I set many goals for myself. By the time I had been in the industry for seven years, those goals had been reached. At the time, I had no idea what opportunities would be presented due to my persistence, and the people who would come into my life. I am continually learning to grow, lead and support others because of the coaching I received from my mentors. 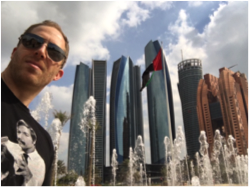 I clearly remember the day that I received the email telling me that I was chosen to start bringing the education program of John Paul Mitchell Systems to the Middle East. When I first started in this industry, that’s an email I never could have imagined receiving one day. But as the planning progressed, it became more and more real to me. 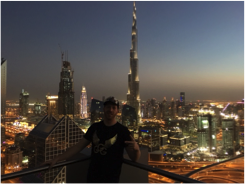 When I had the pleasure of taking my first trip to the Middle East, I immediately visited the top salons and started building relationships with the distributors. When I took my second trip, the need for in-salon education was huge, because of the lack of educators. I started this trip with focused education for those trainers in order to guide them and help them feel supported. 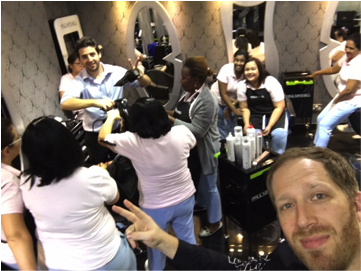 By this time I had already visited Qatar, Abu Dhabi and Dubai to teach salons and educate the local distributor trainers. Nowit was time to launch Color XG. 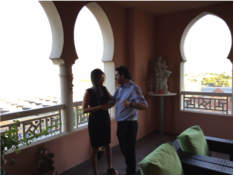 On the third trip we launched Color XG through full-day shows and hands-on training in Dubai, Bahrain and Oman. These shows opened my eyes to the full range of stylists in the Middle East. This is an area of the world where a cosmetology license is not required for a person to be a hair stylist. That means that in order to properly educate them, I can’t always start with product knowledge–I need to start with basic hairstyling techniques. I have always loved coaching, supporting and mentoring stylists as they grow their career, and these stylists are always eager and willing to learn. 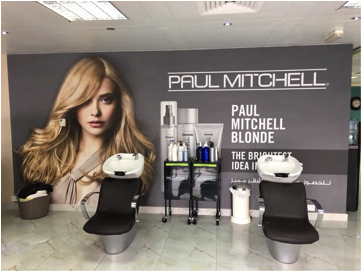 I look forward to the success of the salons and stylists that we impact as we continue to use the Paul Mitchell systems and education programs to grow the Middle East. After saying goodbye to my wife and five boys as I hop on a 15 hour flight from Seattle to Dubai, I’m ready for the next round of education to begin. I go to the gym to spend time thinking on the treadmill and game-planning for the day. I’m picked up from the hotel to start a full day of teaching in salons. 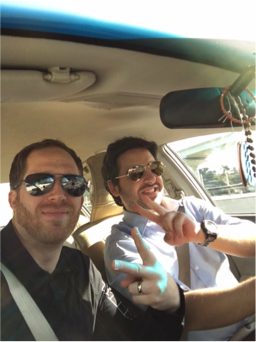 We start our drive to Abu Dhabi and discuss our efforts to continually improve our education program and representation of John Paul Mitchell Systems. 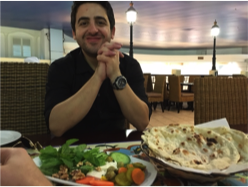 Breakfast with the Regional Director of the Middle East, Stephen Wortham, to discuss the day. I start the first class by getting to know the unique goals and needs of the salon. They are interested in carrying more Paul Mitchell products in their salon, but they need coaching on consultation with guests and how to sell Take Home. 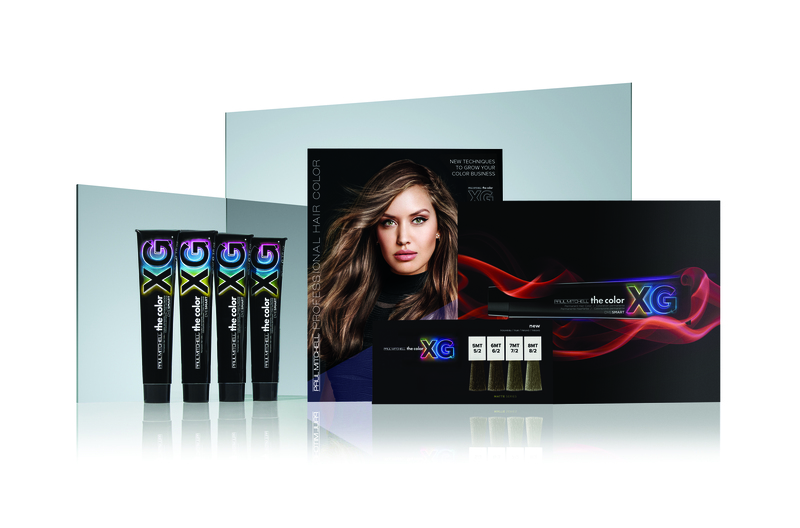 We arrive at the next salon to discuss Color XG and its benefits in their salon. They love Paul Mitchell The Color and would like to expand their Color services, but they need hands-on support. 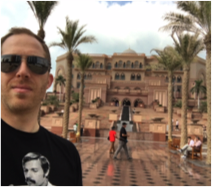 We stop for a delicious, authentic lunch and check out Emirates Palace, as well as a few other local sites. 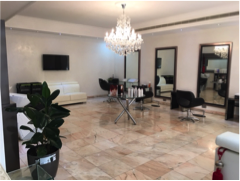 We meet with another salon where the owner has a gorgeous 4500 sq. ft. villa that is newly opening. She needs stylists,business coaching and product support–just what I love to do. 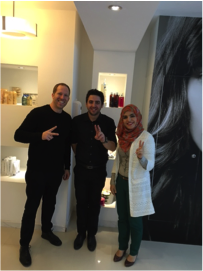 We head back to Dubai and stop to see a longtime friend of Joe, the local Paul Mitchell trainer, who has a beautiful salon and loves Paul Mitchell. We meet up with Stephen Wortham for dinner and an amazing view of the city. I’m back in my room to Skype with my wonderful family who are 12 hours behind Dubai time. Then it’s time for bed so we can do it all again the next day. Read more inspiring blogs like these by clicking here. One of the most powerful questions I believe any stylist can ask in a consultation is, “Can you describe your hair to me?” Ninety-five percent of all women describe their hair as dry or damaged, so the odds are that the guest will say dry or damaged. Once you have gathered this information, you now have all the resources to guide the guest into the Take Home and upgrade experiences. When the guest says, “I feel my hair is dry,” the best response is “Because you said your hair is dry, I recommend _____________”. By using this phrase you will never have to sell Take Home again. Why? Because when you recommend a solution, you are meeting a need and not pushing a sell. The second part of helping your guests with their hair concerns, is to have a solid understanding of the products that can solve their challenge. If you’ve read my past blog posts on this site you are familiar with how I’ve used Awapuhi Wild Ginger® KeraTriplex® Treatment to meet the needs of the guests with damaged hair. I am now thankful to share that our strong KeraTriplex Treatment has a new thirst-quenching companion called HydraTriplex™ Treatment. 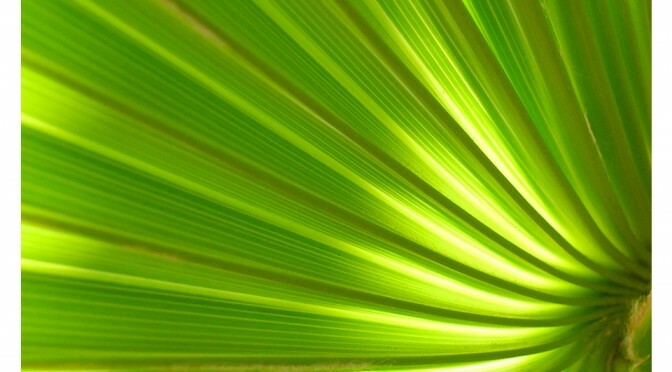 HydraTriplex Treatment will give you a large dose of moisture in one amazing experience. It is designed to contain the perfect amino acids to lock-in moisture and is easily coupled with KeraTriplex to quench thirsty hair as well build the strength at the same time if needed. As a business owner I know the power of instant gratification. However, I value more the longevity of the service received. When a guest walks through my door for their appointment and says, “My hair has felt great since my last service,“ or “I know I’m here for my appointment but I just received two compliments on my hair at the store this morning,” those are the best complements stylists and owners like to hear. That is why I value quality products that do not act as a band-aid for the hair. Rather, they nourish the hair and work from the inside out. So how is our salon making this product a success? If you book a HydraTriplex Treatment every three weeks for the whole summer (June 1 through August 31st), you will receive 33% of all five treatments over the summer. This comes out to a savings of $50, but they must be pre-booked and they must keep their appointments. This does many things for my business. First, it first raises my Frequency Of Visit (FOV). 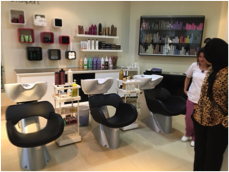 It also creates opportunity for upgrades every three weeks, a mind-set of going to the salon more frequently and it grows the re-book percentage of the salon. My new salon has a separate room for our Wash House℠ and this has really allowed me to look at the “hair spa” business because treating the hair in a completely separate room creates a different experience. Now I’m able to cater to everyone. A guest may come in for a hair cut and color, but another guest may just come in for just a shampoo and treatment or even just a scalp and neck massage without getting any other services done. 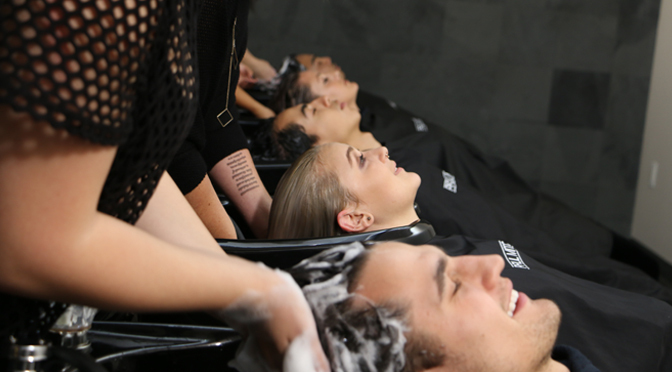 Having the Wash House separated from the salon allows our guests to have a unique experience catered to what service they are looking for. I always hated the thought of a guest leaving my salon with damp hair, but if they want to come in weekly and get a great scalp massage, then I am ok with that. I hope that you are looking at your business and finding areas where you need to grow and then are identifying the products and services that will help you do that and implementing systems like these. Let’s start to look at our businesses for what people would want and need on a daily basis and in doing so, I believe the growth will be outstanding. Thank you again for reading and taking the time to think about your business. To read more blogs like these, click here. Our senses have an amazing ability to create an emotional experience. Through smell, taste, touch, sound or sight, memories can come flooding back. I remember as a child my mom asked me to go to the neighbor’s house to borrow vanilla extract. On the way home it smelled so good that I took a taste. Well, as you know, vanilla extract does not taste how it smells, and I remember that experience being one of the first lessons in understanding that one sense can fool another. I also remember working in a classroom at The Gathering when we launched PM SHINES®. To this day every time I mix PM SHINES, the memories of that class come rushing back. 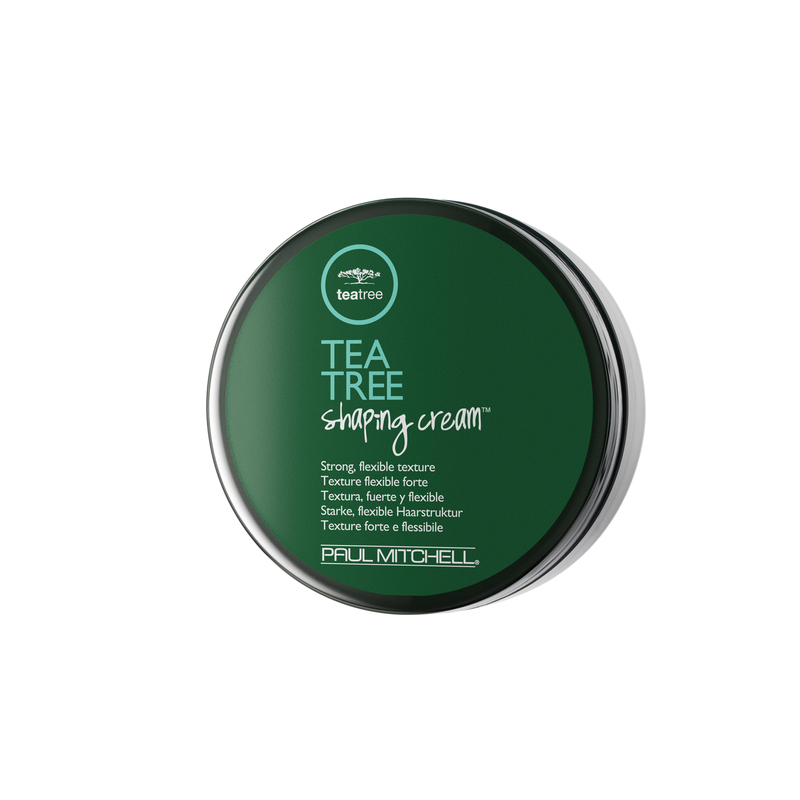 Paul Mitchell’s Tea Tree brand has a strong focus on the senses. 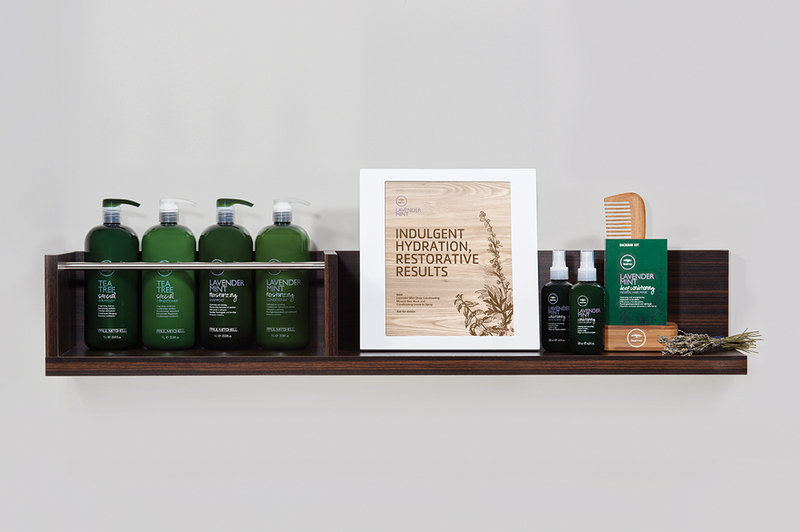 The invigorating smell helps relax and pamper our guests, giving them the full Tea Tree experience, while the earthy, yet modern packaging help bring variety to our salon. 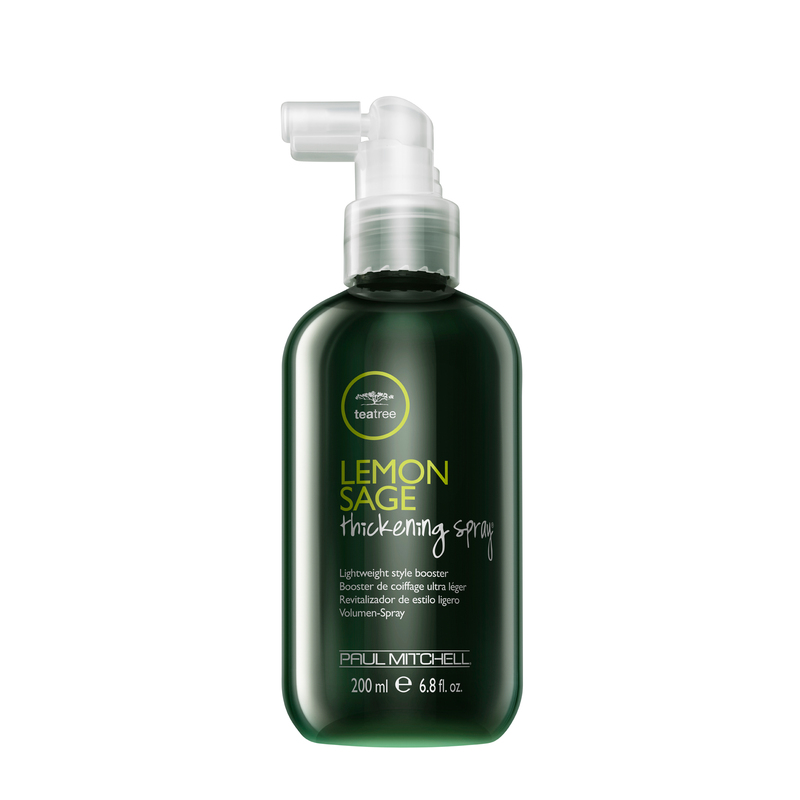 Two of my most used products from the Tea Tree line are Lemon Sage Thickening Spray® and Tea Tree Shaping Cream™. The Thickening Spray creates a full and supported texture for all hair types. For finer hair, I apply the Thickening Spray to dry hair and re-blowdry it into the desired shape. For thicker, coarser hair I will apply the product to wet hair and then dry it to the desired shape. I use the Shaping Cream to create hold and definition in the hair. Shaping Cream leaves the hair touchable and moveable with no crunch and an amazing smell. 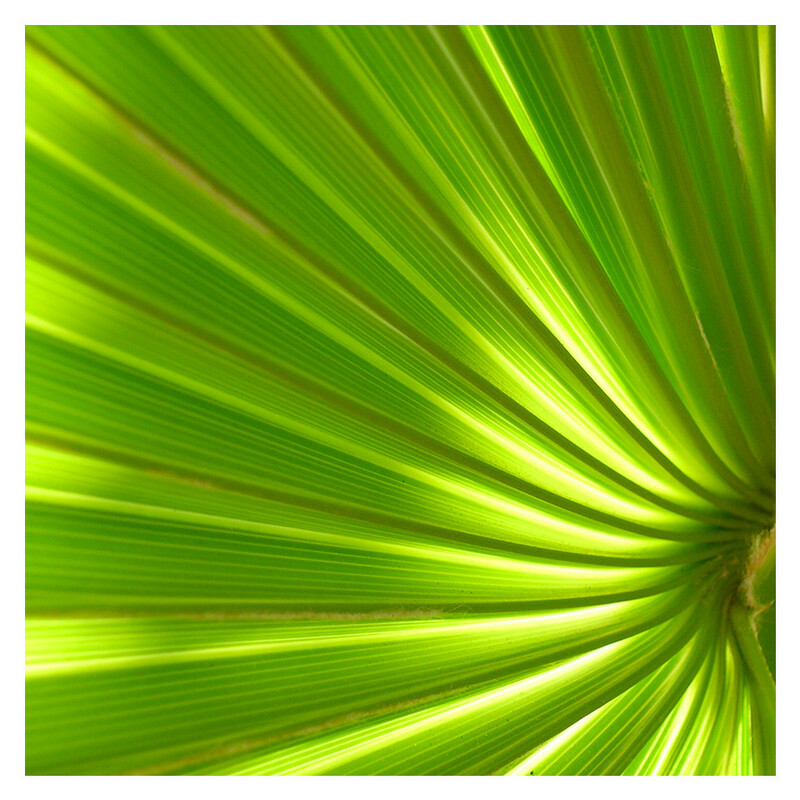 Take your guests through the full Tea Tree experience by paying attention to all the economies in your salon. Let them see that Tea Tree is a power brand by how it is represented when they walk in, and how their senses are inspired in the Wash House℠. At the Stylist Station, let them feel and read the product as you apply it to their hair. Educate them about what the products are right for their hair type and how to use them at home. Lastly, never forget to suggest booking another Tea Tree experience with their next visit. This guarantees that you will have the opportunity to pamper them again—creating guest loyalty and increasing your average ticket sale. Understanding how to cut, color and style hair is what makes us great stylists, but understanding how to maximize the economies of our business is what makes us unstoppable. Remember when it comes to our guests, the first impression on their senses is the one that will bring those memories back every time they smell, feel, hear or experience those products again. Let’s make that experience one to build your business off of. Click here to get tips for how to incorporate the Tea Tree experience into every area of your salon.